National Trivia Day on Jan. 4 reminded us that knowledge about Social Security empowers us and prepares us for retirement. Remember, the more you know about Social Security, the more control you have over your bright future. 1. 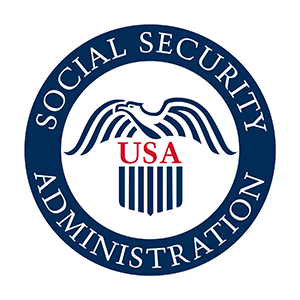 What is the average number of years that someone has paid into Social Security once they start collecting disability benefits? Because the Social Security Act sets out a strict definition of disability, our beneficiaries are among the most severely disabled people in the country. We provide modest benefit payments to workers who contributed into the Social Security trust fund before becoming disabled. Today’s average disability beneficiary paid into the disability trust fund for 22 years before they began receiving Social Security disability benefits. 2. At what age can I begin receiving Social Security retirement benefits? The answer to this question is not the same for everyone. Depending on when you were born, your full retirement age will be between 65 and 67. You can draw benefits as early as 62, but you will receive a lesser benefit. For more details and a handy chart, visit www.socialsecurity.gov/planners/retire/retirechart.html. The best time for you to retire will depend on several factors, including when you were born, how long you contributed to Social Security and how long you expect to live. The longer you work and the more money you earn at Social Security-qualifying jobs, the more Social Security retirement benefits you stand to receive. The longer you wait to draw Social Security benefits, the larger your monthly payout will be. Past age 70, there is no longer any advantage to waiting. 3. 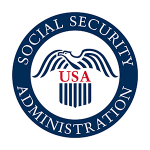 How much money can I earn and still receive Social Security disability benefits? A worker who is disabled can earn up to $1,130 per month and still receive benefits. If the worker is blind or has work expenses, this amount is higher. More information about working while disabled is available at www.socialsecurity.gov/pubs/EN-05-10095.pdf. 4. Who receives the largest annual share of Social Security benefits? The answer is C. About 39.5. Of the nearly 60 million people who received retirement, dependent, disability and survivors benefits in 2015, the largest share went to retirees and their families, totaling $53 billion each month. We also paid $6.7 billion dollars in survivors benefits each month, and $10.5 billion dollars in disability benefits each month in 2015. Jane Yamamoto-Burigsay is Social Security’s public affairs specialist in Hawaii.